How to change career fields with different directions than your current work? I want to offer you a drastic career change idea you may want to explore. It isn’t just about changing career to closely related occupation but it’s about moving to new professions you haven’t even imagined before. Read on and be surprised to find out how natural is your career transition. NB: It’s amazing how the simple idea I want to share here can help change your career so I suggest you read thoroughly and take action! Let’s start with your problem. Do you hate your job but a career change idea holds you back? Take your time to learn about how to change career fields both naturally and creatively. Career changes don’t have to be tough and painful when you have the knowledge and skills. As long as you commit to persevere till you get what you want, changing career will become one of your most enjoyable adventures. I don’t say it’ll be easy but it’s possible to write your own success story. You can take a drastic career change by taking one or two years off and going back to school to earn an MBA degree. Many B-school graduates enroll a program without knowing any available career options but on completion of the program they get new careers which they enjoy doing. In a conventional career planning process you’ll need to take career tests to find out your personal characteristics. Based on the test reports you’ll be proposed with new career fields that are right for your profiles. Once you’ve narrowed down your career options, you’ll need to get the required training and/or education to cut your competency gaps. In a drastic career change you don’t need to do that. You don’t need to know yourself and your career options. You’ll want to follow your conscience and work hard to get new skills to increase your employ-ability. Warning: Only apply this strategy when the economy is hot since you may expect that job opportunities are mushrooming during boom times. Going to B-school will help you open up new career options. However, when it comes to select a particular career you may want to widen your career choices and build networks in a new field even before you decide a career option. Sometimes you need to take an unsalaried internships or a part-time job to test the waters. 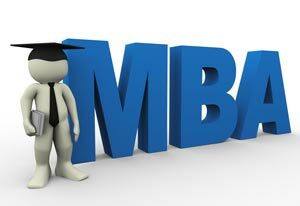 Which MBA Degree Program to Pick? As a career change strategy enrolling in a full-time MBA program is clearly an expensive route. Not only will you have to invest a large sum of money for tuition but you’ll also lose your salary during your study. Depending on your career objectives you may want to consider a part-time MBA program or an online MBA program as long as it still provides networking opportunities with your prospective employers and other students. If you aspire to contribute more to your chosen community — not just looking for another job — then starting your own company is a good idea. You may take an entrepreneurship MBA program to get knowledge and skills about the processes of business to execute your idea effectively. How to change career fields? Enroll in the right MBA degree program. With a smart choice, a Master of Business Administration degree can help you make a difference in the world. Click the link to learn more about how to change career fields.